Many of us are excited to hear about returns on equity mutual funds, but when we actually get into the decision making process, we have no clue where to begin and how to execute. Thanks to the new generation financial service providers, managing portfolio has become really simple. The new entrants called ‘robo advisors’ introduced by the financial services institutions, has made investing easy and meaningful. In this post, I intend to cover one of these robo advisors I recently came across. Edelweiss has launched a new dynamic feature for investors called Edelweiss GPS, for guided portfolios. 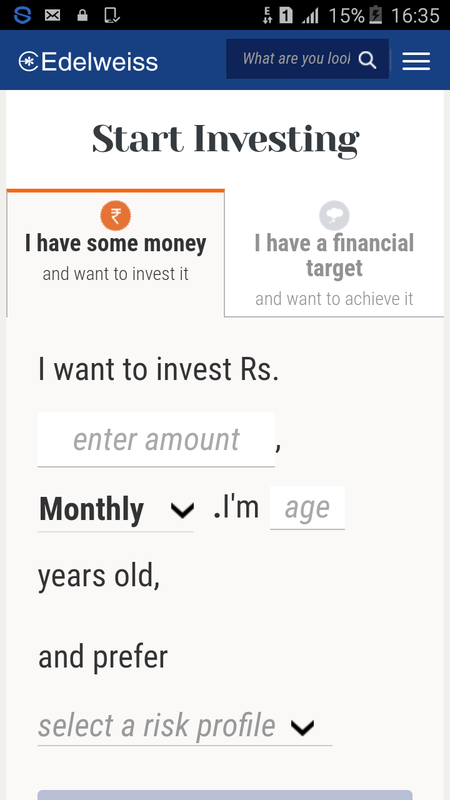 With a few clicks, you can see your ideal portfolio mixture and invest there too. Once you go to the home page, they have two Simon option to choose from. 1. If you just want to create wealth with your surplus cash or 2. 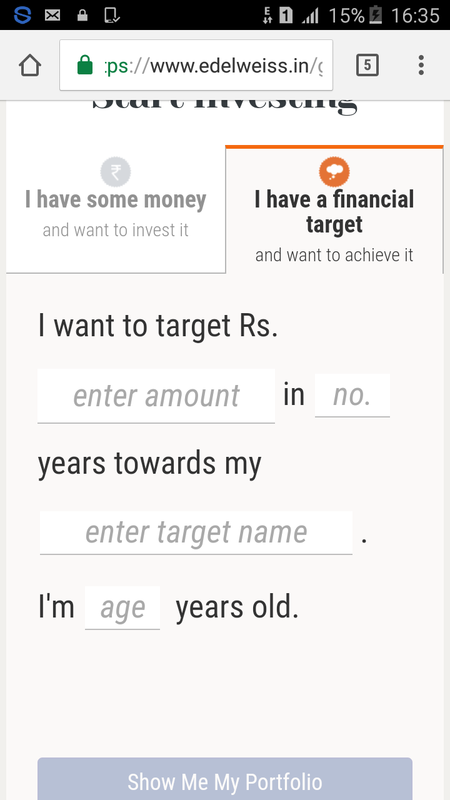 If you want to invest based on certain goals in mind. Once you fill in the data about your age, investment amount, the time period and risk you are willing to take, it will immediately reflect a suggested portfolio mix, which is also research backed by Morningstar. If you like the mix you can just click few more steps to create your real portfolio. This will not help you select and buy, it will also review your investment periodically and suggest you modifications of required. Investing cannot get easier than this. Go try!